DALLAS – Dec. 27, 2017 – Mary Kay, Inc. and Alpha Chi Omega teamed up once again to encourage healthy relationships among young people during National Domestic Violence Awareness Month in October. Collegian and alumnae members of Alpha Chi Omega submitted photos on Alpha Chi Omega’s Facebook page displaying a commitment to help raise awareness of the epidemic while also serving domestic violence organizations. Supporters viewed the gallery of submissions and then voted for their favorite photo. 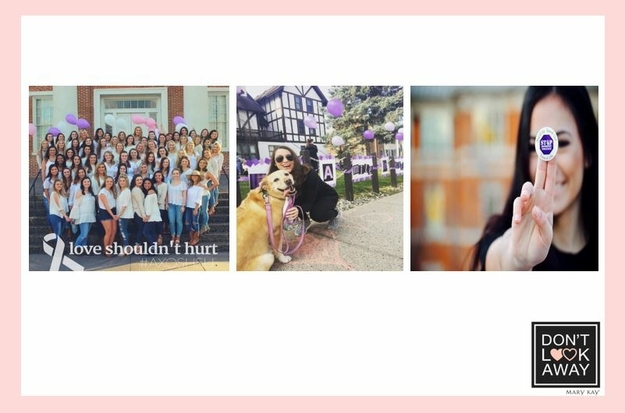 The entries with the most votes were awarded monetary prizes for donation to a domestic violence organization of the collegian or alumna’s choice. 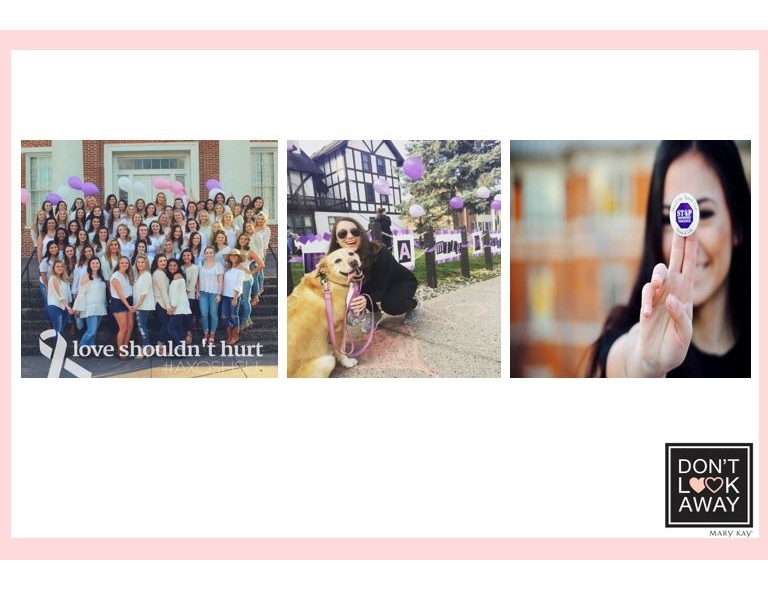 This campaign furthers Mary Kay’s Don't Look Away campaign, which works to educate the public on recognizing the signs of an abusive relationship and how to take action. To date, Mary Kay Inc. and The Mary Kay Foundation℠ have given $57 million to domestic violence prevention and awareness programs in an effort to end the cycle of abuse. Mary Kay is also the lead sponsor of the nation’s first-ever text-based helpline operated by loveisrespect. By simply texting ‘loveis’ to 22522, teens and young adults are safely and discreetly connected to trained peer advocates who provide support, safety tips and referrals. For more information about Mary Kay’s commitment to end domestic violence, click here.